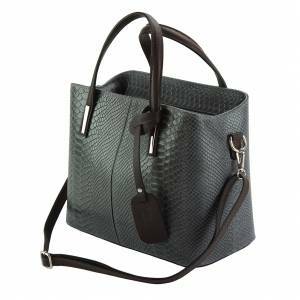 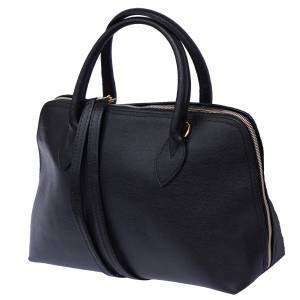 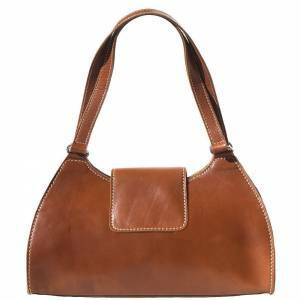 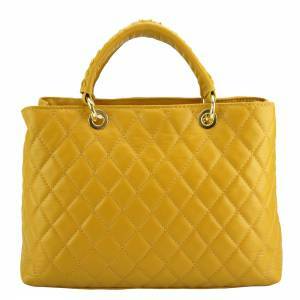 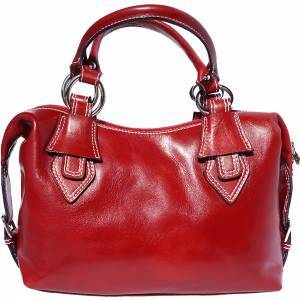 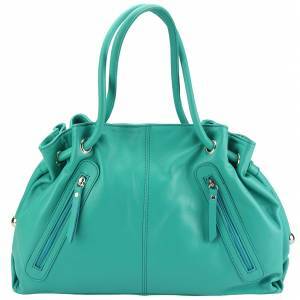 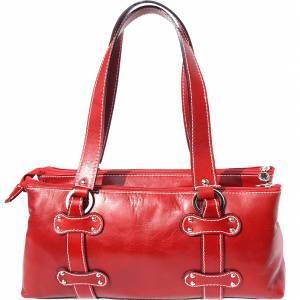 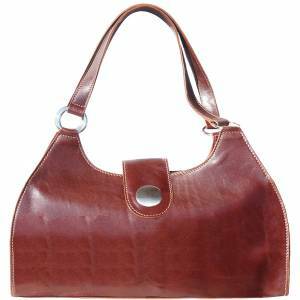 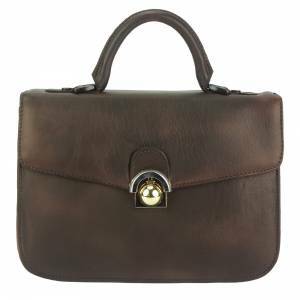 Lady leather handbag with front pocket. 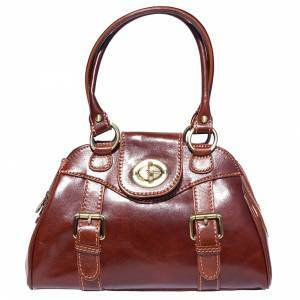 Zipped closure and double handle. 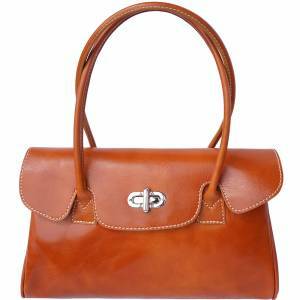 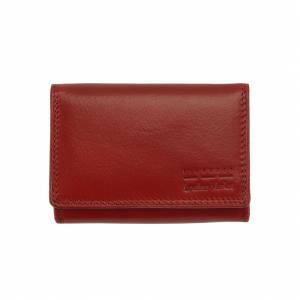 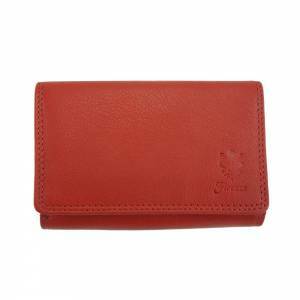 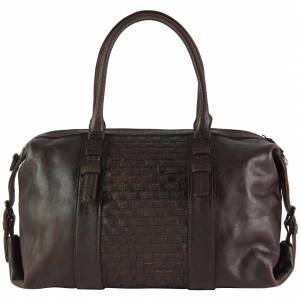 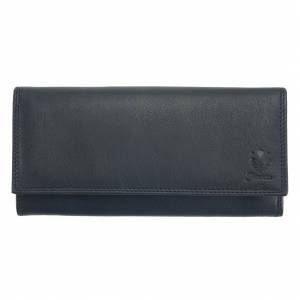 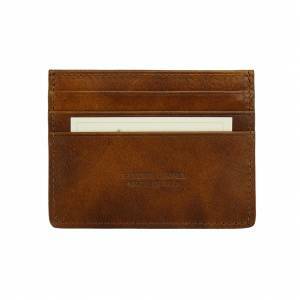 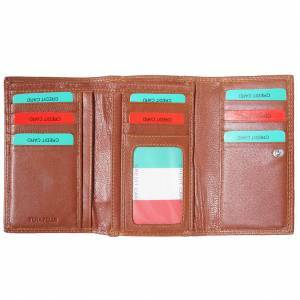 Designed and handmade in genuine leather in Florence, Italy. 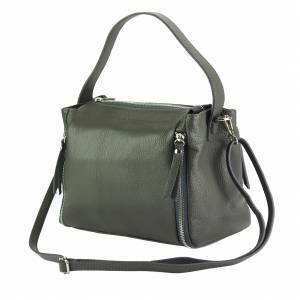 Very roomy thanks to its two compartments and many pockets (4 inside, 1 outside). 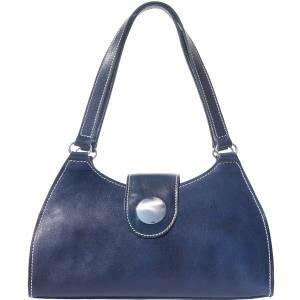 Metal inserts and very good lining. 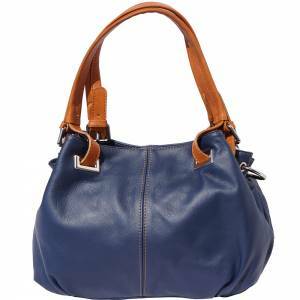 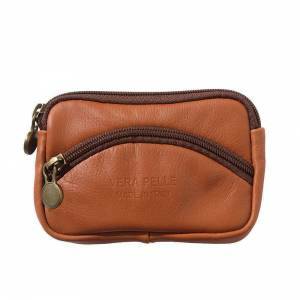 A very nice design, stylish and easy to carry as a handbag.